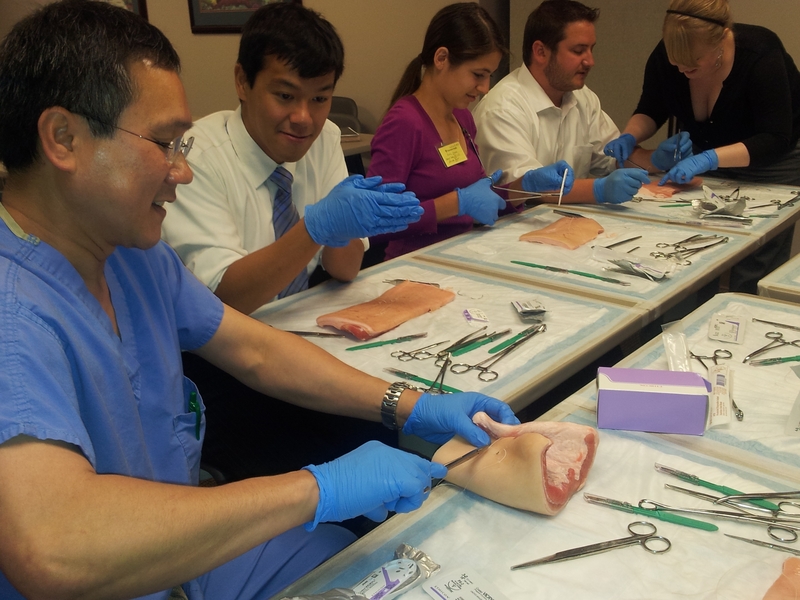 The educational dialogue is punctuated every few minutes with group laughter as the incoming resident class works through Dr. Truong's "Suturing Workshop" - just one of the many activities scheduled for them during their orientation week. 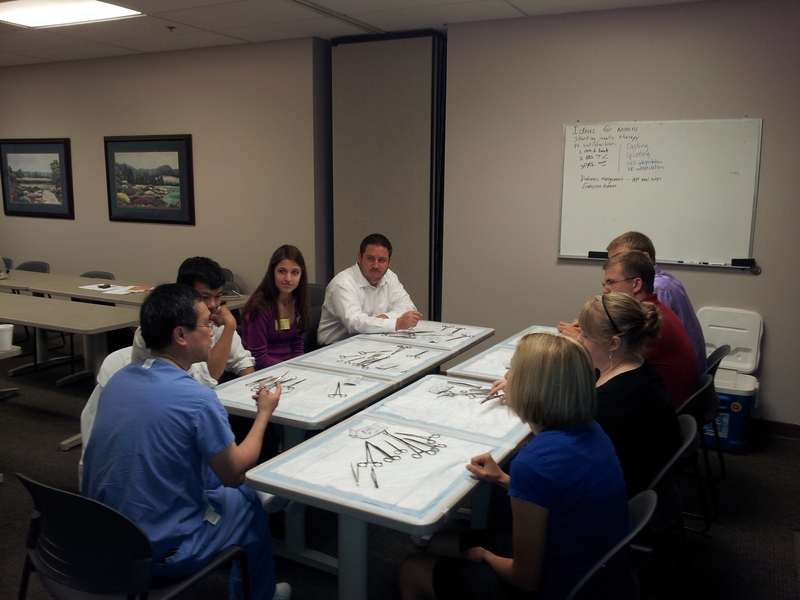 Five new residents, a medical student and an undergraduate student are all working on various stitches and objectives as they address the pork belly on the table in front of them. 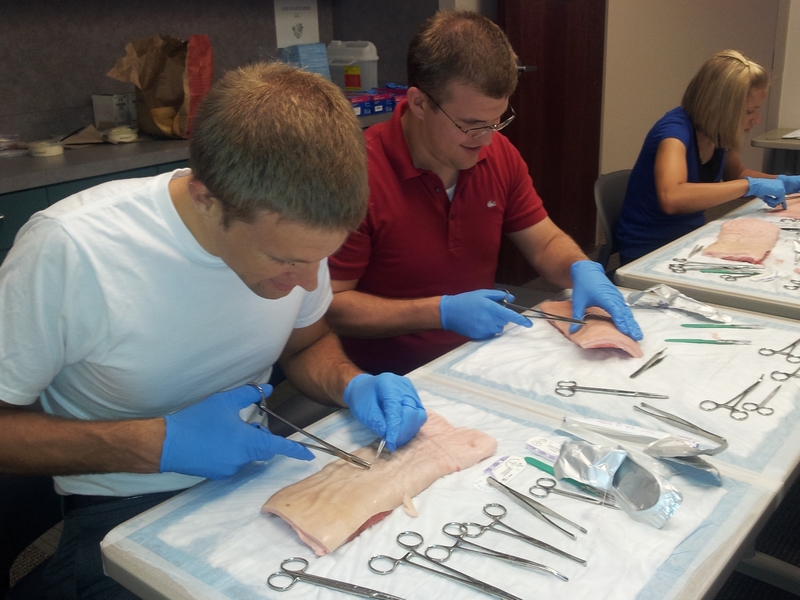 Tool identification, string and knot vocabulary, sutering on a flat surface and suturing in an indentation or "hole" are just some of the components included in this particular training. 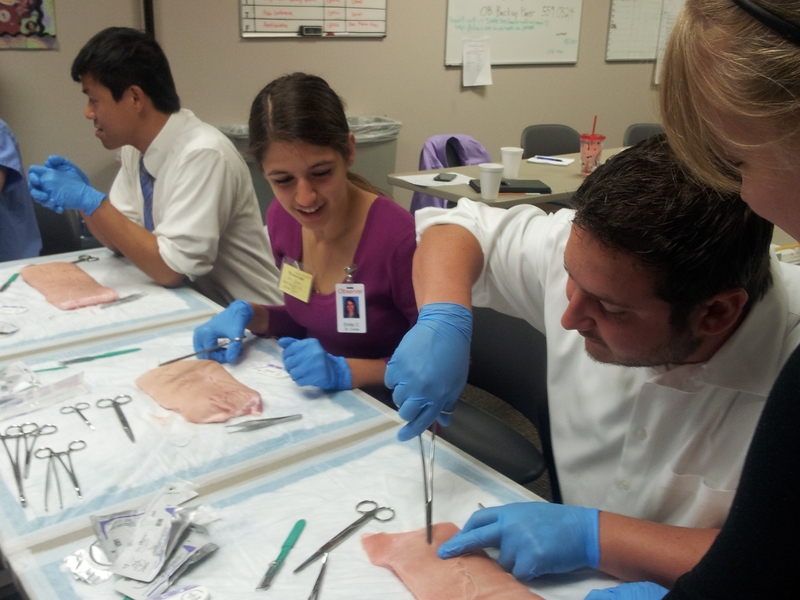 As they work through the techniques, they're learning on several levels: getting to know each other as a class, understanding the various learning styles and skills possessed by each resident, and for this particular training - beginning to feel comfortable with cutting and sewing at different depths and on different surfaces. Good luck, class of 2016...we're glad you're here!